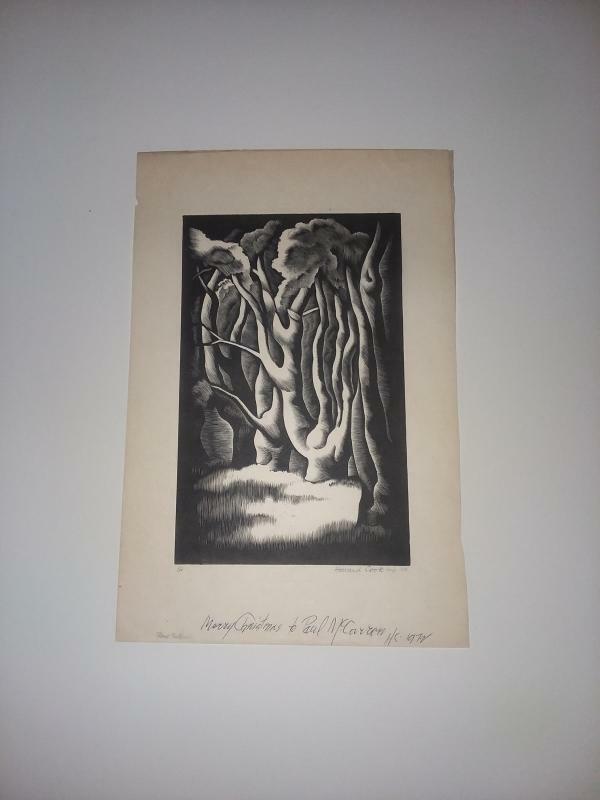 Howard Cook (American, 1901-1980) Etching/Woodblock of Trees Titled "Wood Exterior". Edition of 100. 4 1/8" x 6 7/16" Image. Make An Offer! 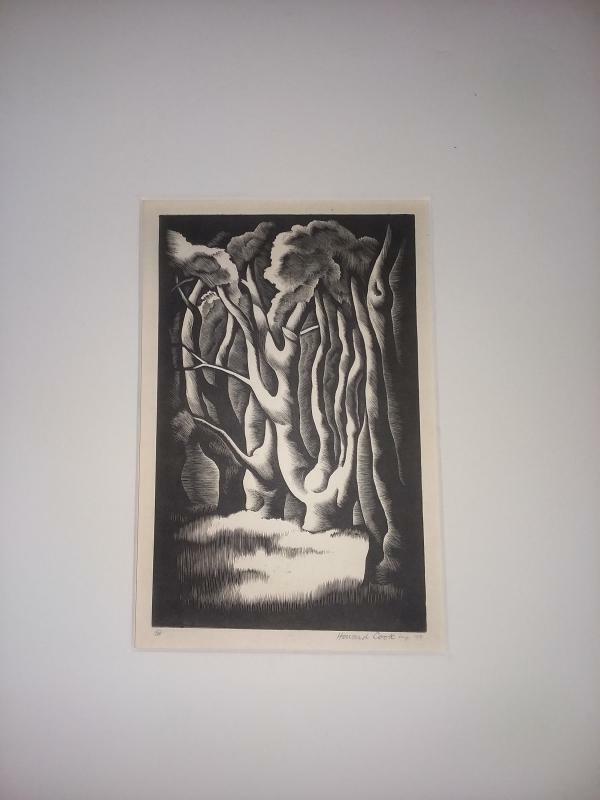 Howard Cook (American, 1901-1980) Etching/Woodblock of Trees Titled "Wood Exterior". Edition of 100. 4 1/8" x 6 7/16" Image. 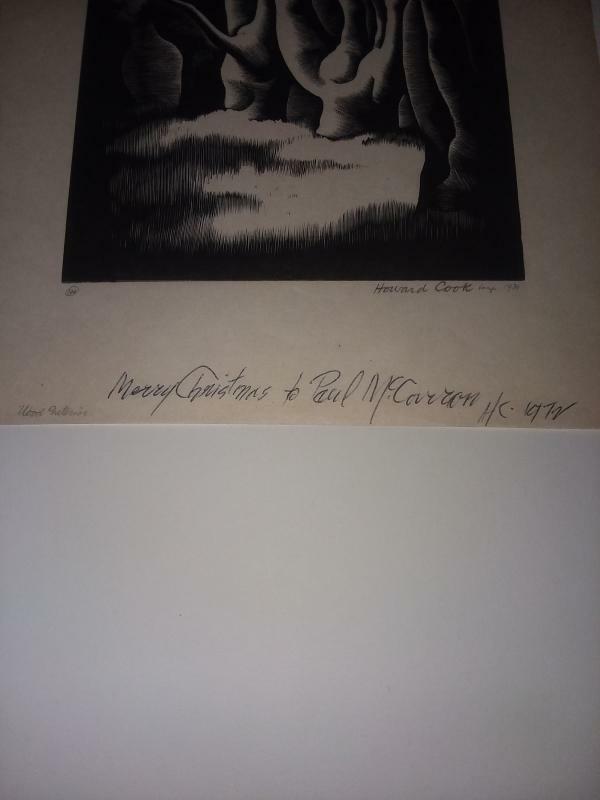 Has a personal inscription from Howard to a friend. Merry Christmas, 1972. Hinge mounted. Cut mat included. No reasonable offer will be turned down.